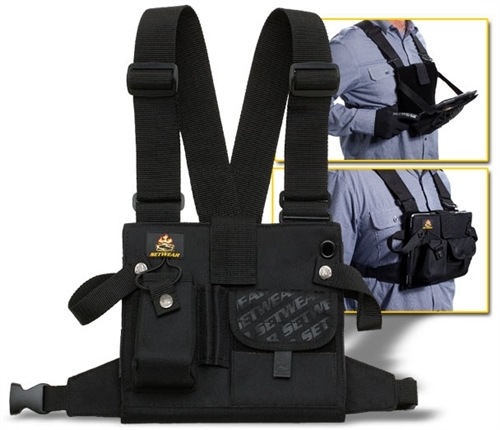 All the great features of our original Radio Chest Pack, with the bonus of being able to protect, carry, and use your iPad hands-free. 8” tall x 8.5” wide. Easy one quick release buckle and your in or your out. 2” nylon shoulder straps for added comfort. Two flap over storage compartments to keep your items close to your chest and also a pen/pencil slot in the middle. This slot also holds a size AAA mini mag-lite. Tri-Ring adjustment strap system for all shapes and sizes.